If you still do not find the suitable wedding cake for your celebration, here are some beautiful models ideal for the party in "Black and White" that you are planning. 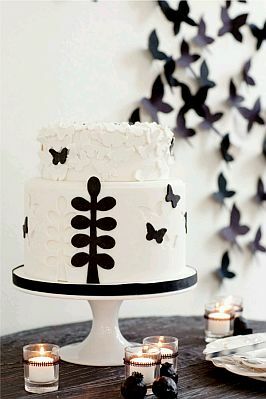 If you chose butterflies as your celebration decorative detail, this is a good proposal, it is a two-floor cake, decorated in white and on it, some butterflies and black branches. 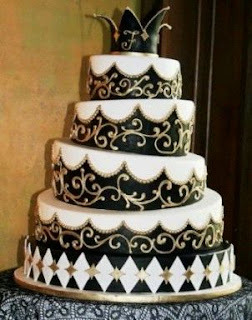 Original four-floor cake beautifully decorated in black and white and a crown at the top, the same that bears the initials of the names of the couple. 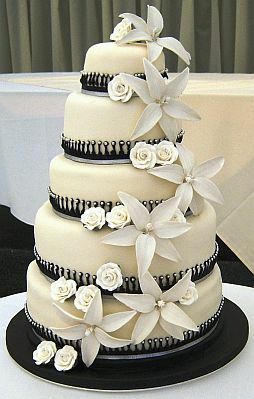 Beauty wedding cake two floors, decorated with ribbons and black stylized flowers. 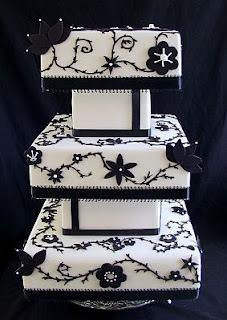 Another beautiful three-floor proposal, and decorated with black colored circular details. 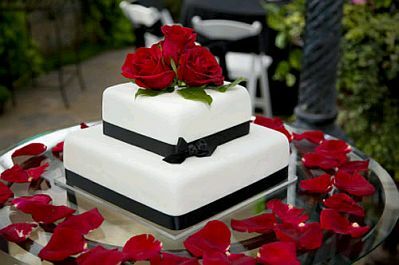 You can also add some color to your cake in White and Black, as you see in this image in which red rose petals used in the base and a small bouquet on top. 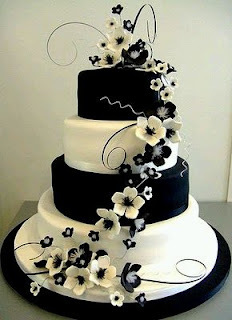 Great job, four-floor cake, decorated with black and white flowers of the same color running through it. 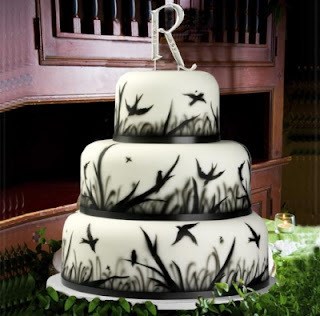 And if you prefer something more artistic, this three-floor cake is indicated, is decorated in white with cute drawings of birds and branches in black. On the other hand, if your wedding has a casual style, this cake is perfect, has four floors, each decorated differently and with different details and complemented with black and white flowers. 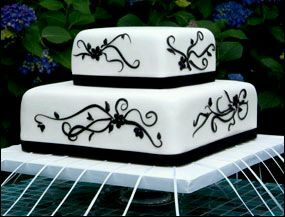 Elegant model five-floor cake decorated in white and black color with small applications, each floor also has white flowers that make it look great. 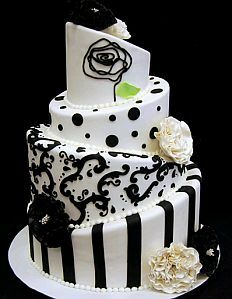 Finally, if you prefer the originality, this is the right model for you, beautiful black and white cake with a provision quite capricious.